Learn how to jump rope for fitness and recreation! 40 years of jump rope instructor history by Debra Stefan. 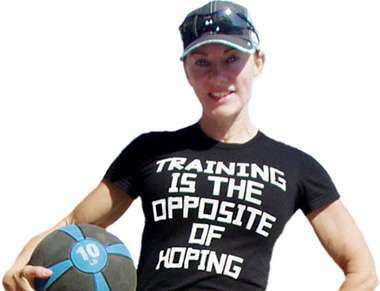 Here is a playlist of ten videos (26:19) covering the last 30 years of jump rope instructor history by Debra Stefan. For earlier history and 1981 Guiness Record headline scroll down the page. Demonstrations are in freestyle and conditioning for individual and group training. The group class at the end was specially filmed in 1986 for an introductory presentation to AFAA Aerobics and Fitness Association of America. 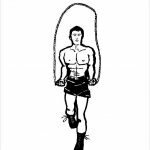 Jump rope was before its time in the fitness industry which was then in infancy. Innovator of the horizontal hitch kick jump rope technique known as the “Stefan Kick”. For written details on how to implement single rope jump rope skills for a beginner group, see my boy’s boxing handout. Its 20 years old but still valid. Click the jump rope boxer image to grab it here. 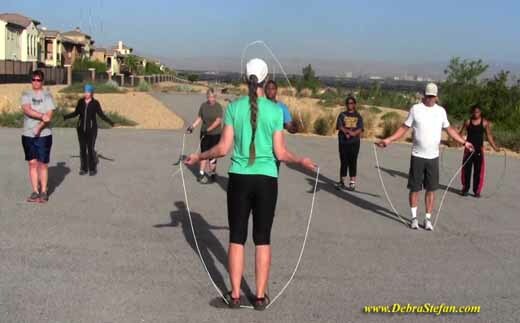 Read Debra’s article on this cornerstone technique and jump rope video demo by Floyd Mayweather, Jr.
Debra Stefan has taught her accredited jump rope courses for the UNLV Athletic Department and the School of PE. Her courses credited educators through Nevada PDE Professional Development Education. 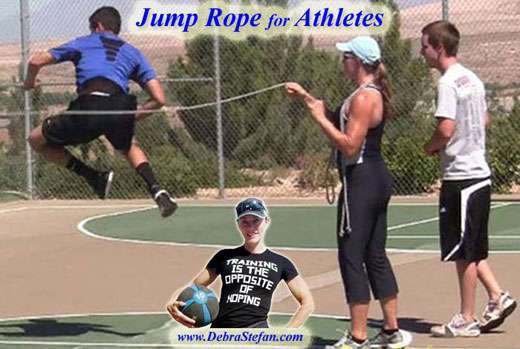 Debra developed Star Skippers youth jump rope team that competed at the national level and AAU Junior Olympics. Her fitness career spans over 40 years. She is the director of Debra Stefan Fitness retreat for live-in and day camp guests. 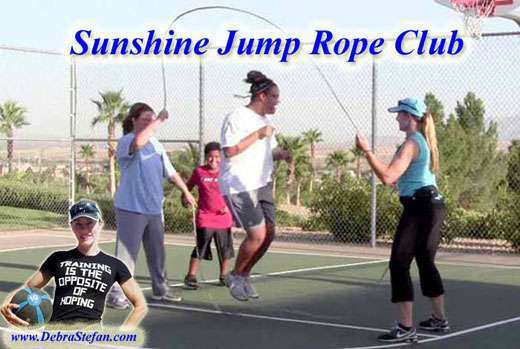 See Debra’s “Jump Rope Class” Google Blog for articles, pictures and video.